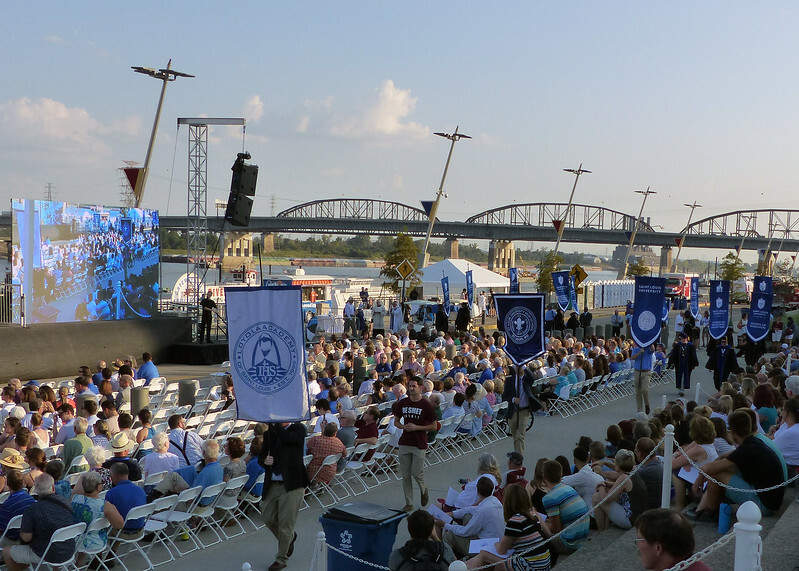 Saint Louis University begins a year of celebration of their bicentennial with a Mass under the Gateway Arch. 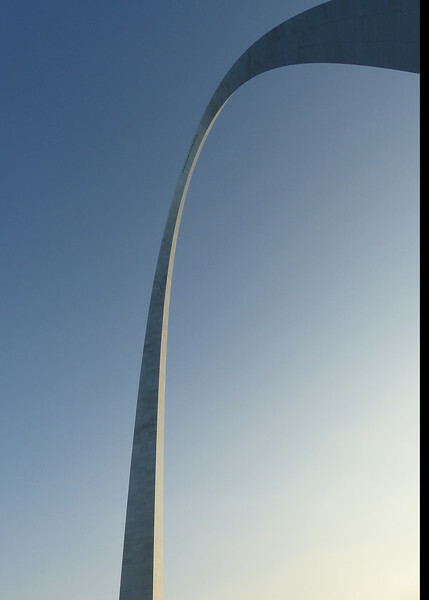 The Gateway Arch on a beautiful, clear and hot day.. 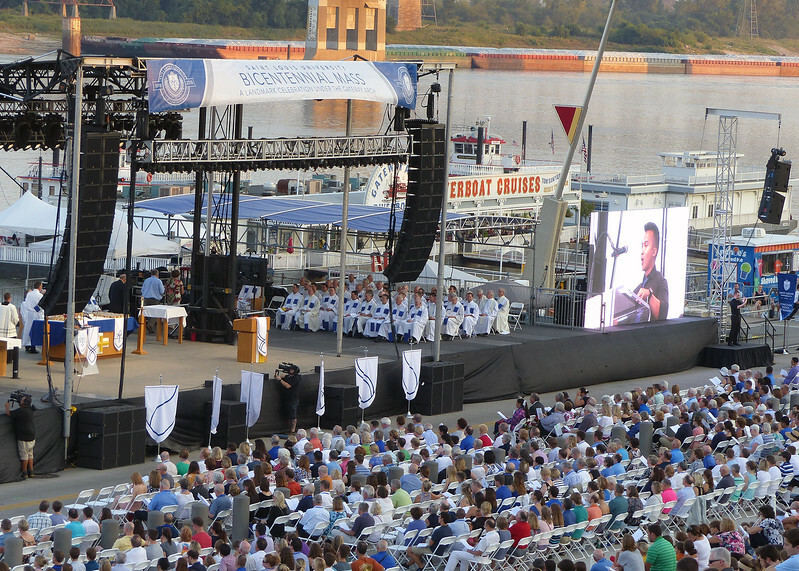 The SLU Bicentennial Mass was held on the Arch grounds Sept. 23, 2017 in remembrance of the first location of what began as St. Louis Academy. Superior General Arturo Sosa, SJ, sends greetings from the Society of Jesus General Curia in Rome. 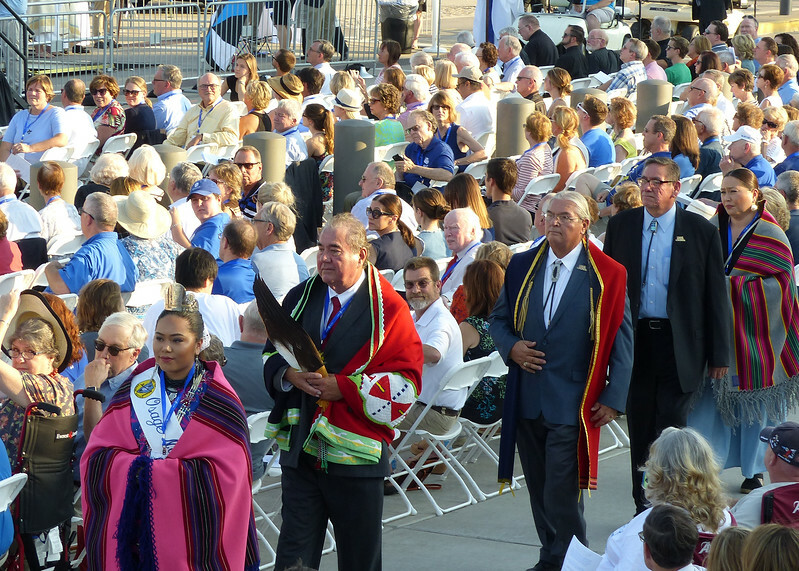 Chief Geoffrey Standing Bear and other representatives of the Osage Nation arrive for Mass. Representatives of Loyola Academy, De Smet Jesuit High School and St. Louis University of High School lead the university colleges in the opening procession. 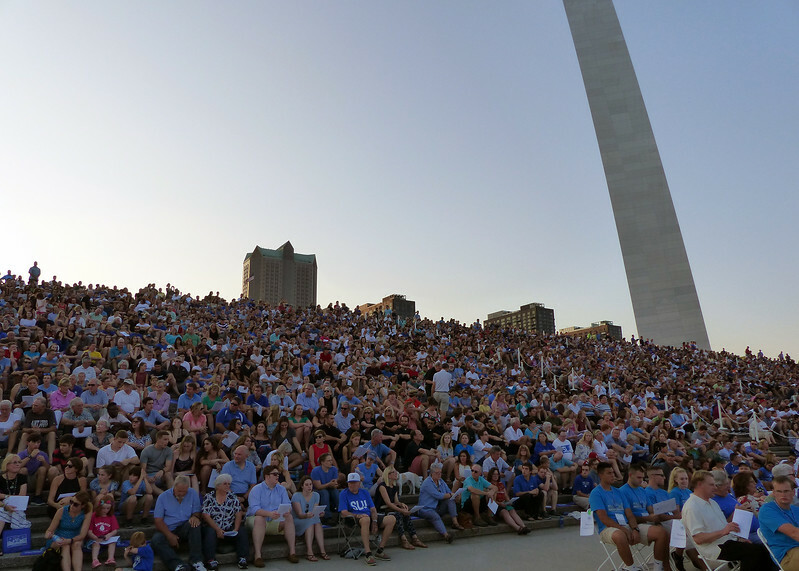 An estimated 5000 people attended Saint Louis University's Bicentennial Mass on the grounds of the Gateway Arch on Sept. 23, 2017. 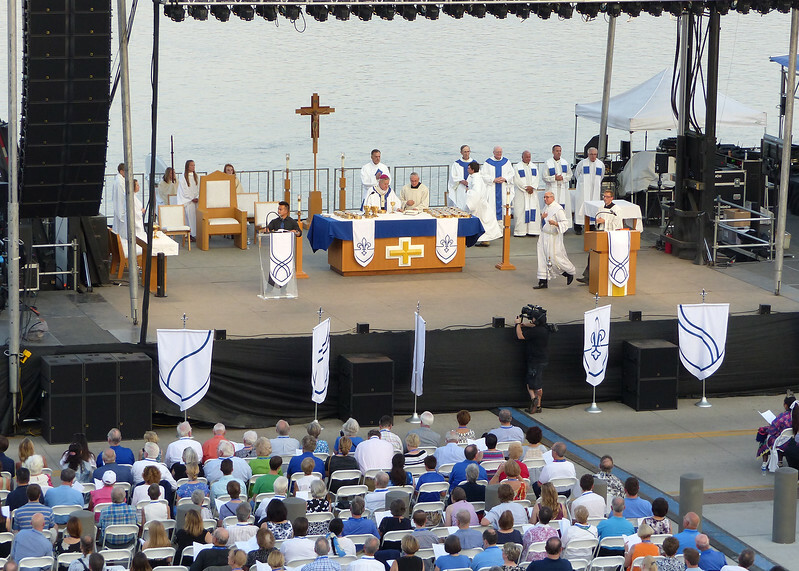 View of the altar and surrounding stage from near the top of the steps. 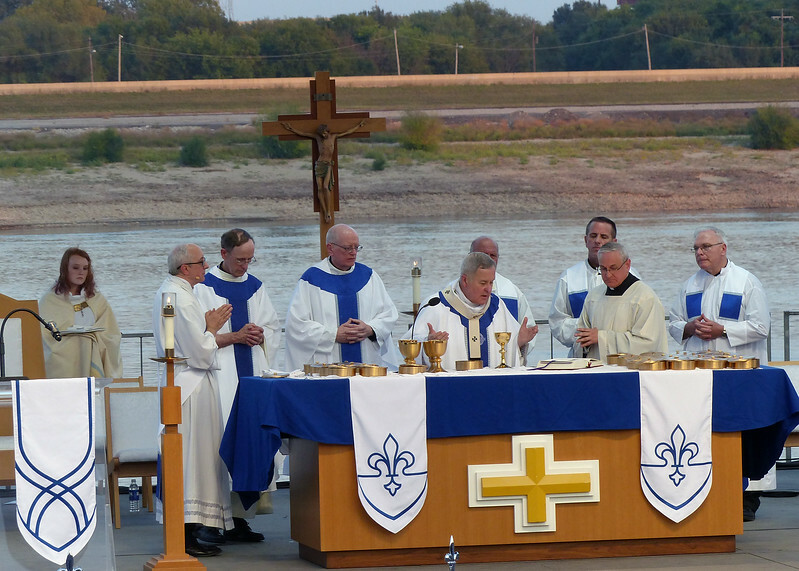 This was the first Mass ever under the Gateway Arch. Concelebrants, of the Mass, most of whom were Jesuits. Fr. 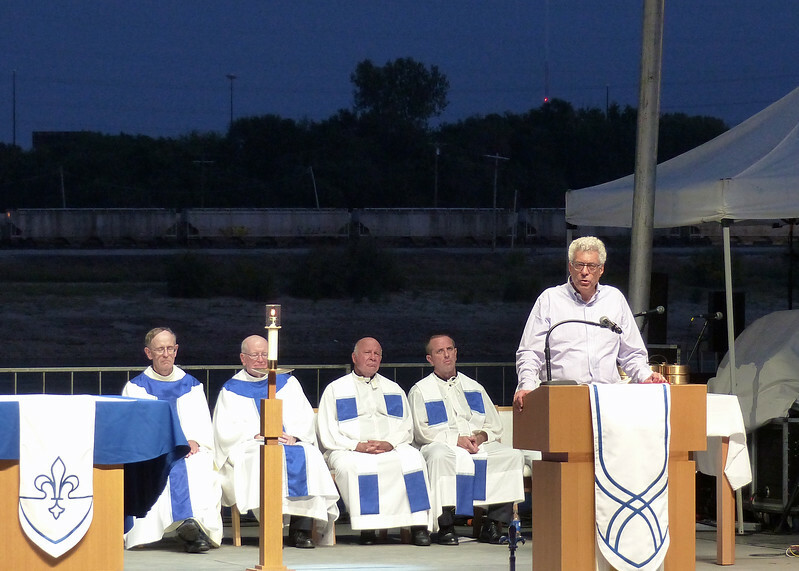 Provincial Ron Mercier, SJ, delivered the homily during Saint Louis University's Bicentennial Mass, Sept. 23, 2017. In his homily, Fr. Provincial Ron Mercier; SJ; recalled Bishop DuBourg and his collaborators in the early days of Catholic institutions in St. Louis. Fr. Provincial Ronald A. Mercier, SJ, recalled St. Louis' first bishop, Louis DuBourg, who established St. Louis Academy in 1818. In 1823, he would invite the Society of Jesus to take on the management of the school. It would later become Saint Louis University. 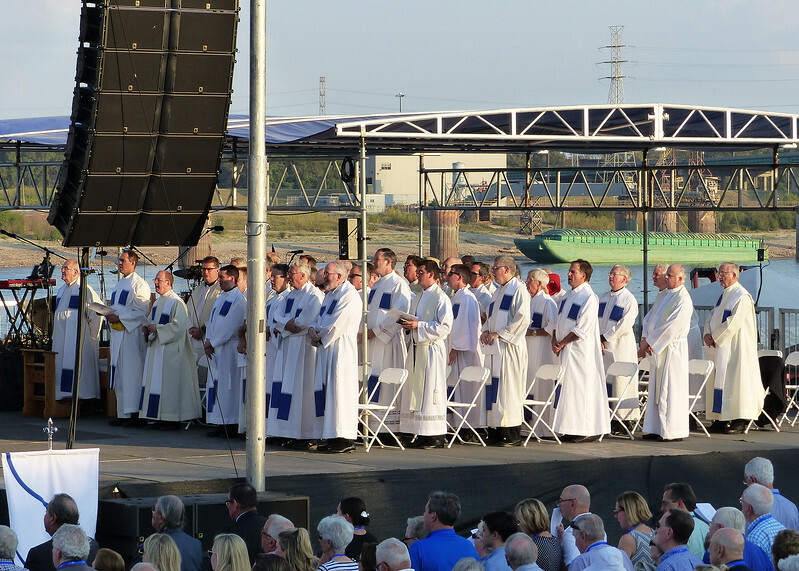 Dozens of Jesuits joined the estimated 5,000 attendees at Saint Louis University's Bicentennial Mass under the Gateway Arch Sept. 23, 2017. 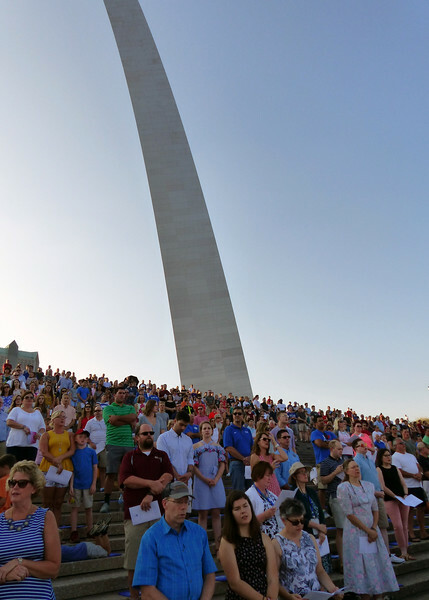 An estimated 5,000 people attended the first Mass ever on the grounds of the Gateway Arch. 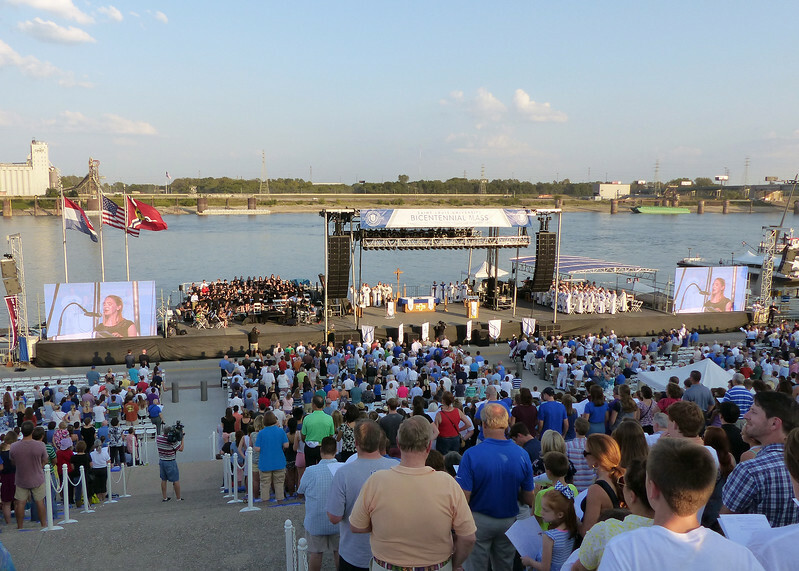 A riverboat can be seen behind the stage erected for Saint Louis University's Bicentennial Mass under the Gateway Arch on Sept. 23, 2017. 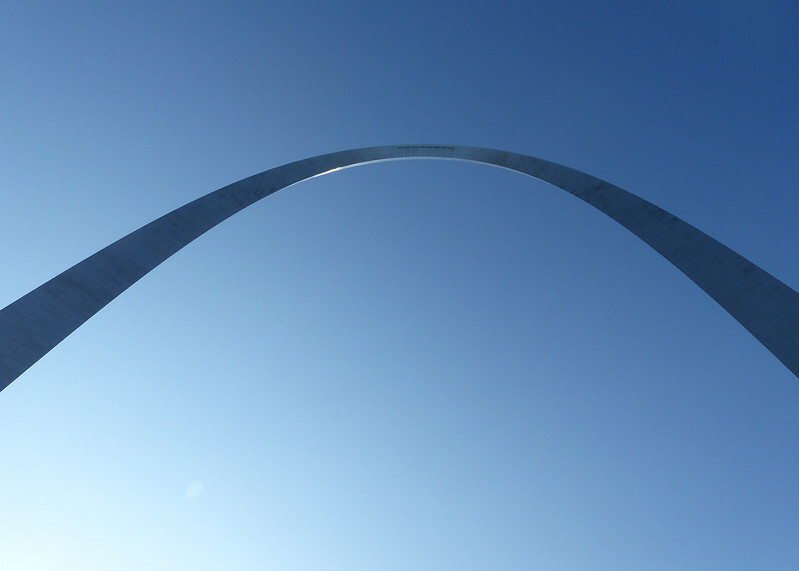 One leg of the Gateway Arch reaches toward the cloudless blue sky on Sept. 23, 2017. 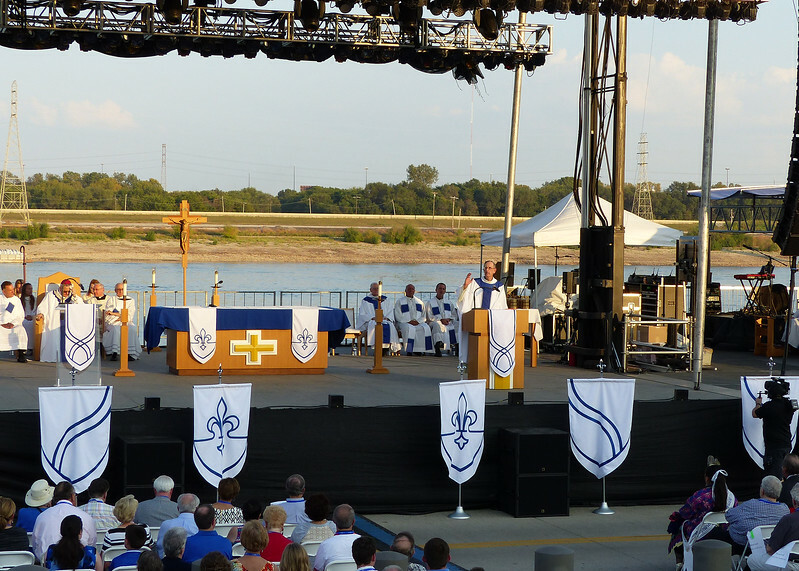 The altar used for Saint Louis University's Bicentennial Mass was previously used for a Mass presided over by St. John Paul II when he visited St. Louis in 1999. 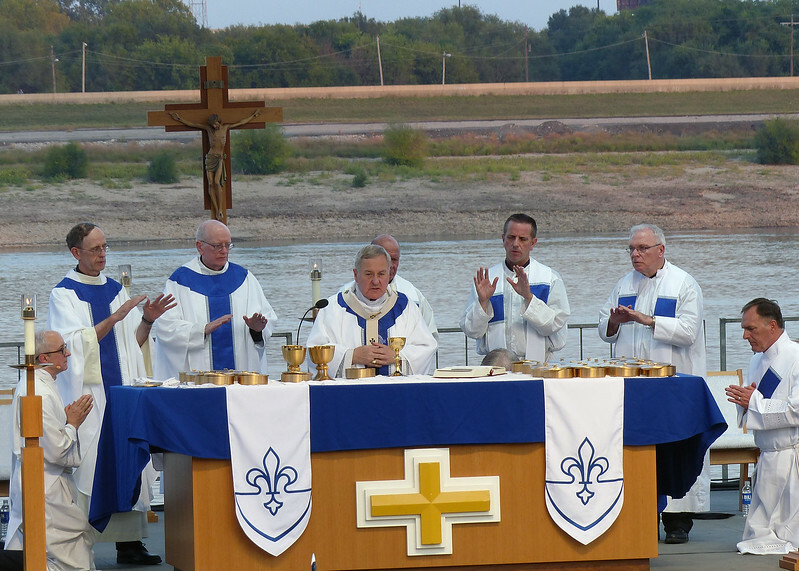 The Mississippi River flowed behind the altar during Saint Louis University's Bicentennial Mass under the Gateway Arch, Sept. 23, 2017. 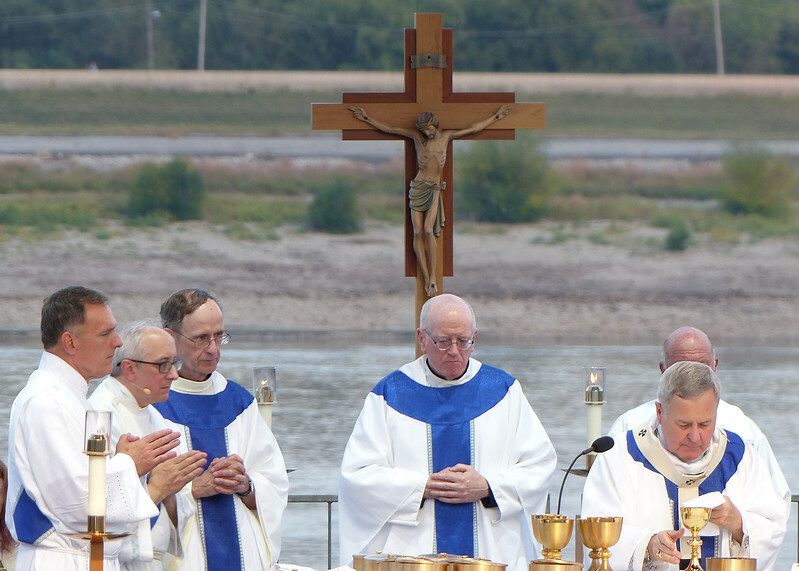 Archbishop Robert Carlson and concelebrants offer the Prayer before Consecration during Saint Louis University's Bicentennial Mass on Sept. 23, 2017. 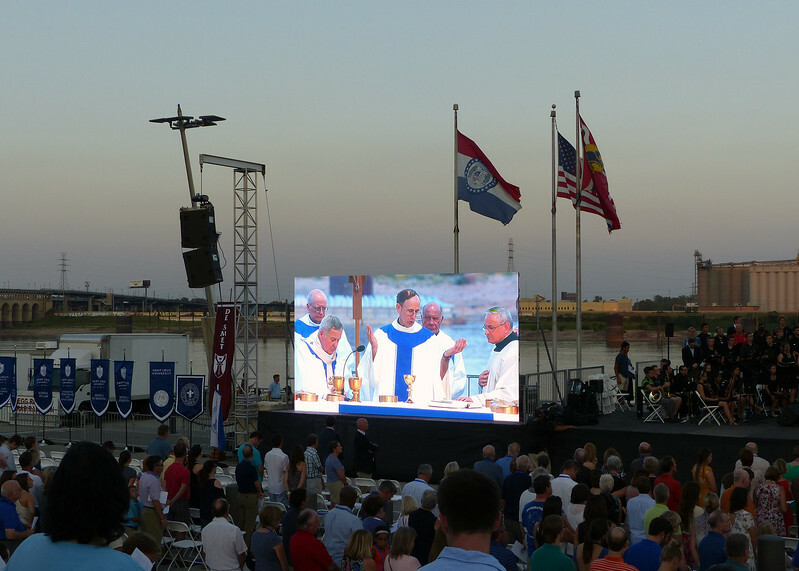 Large screens helped the estimated 5,000 attendees at the Mass get a better view of what was happening on the altar. 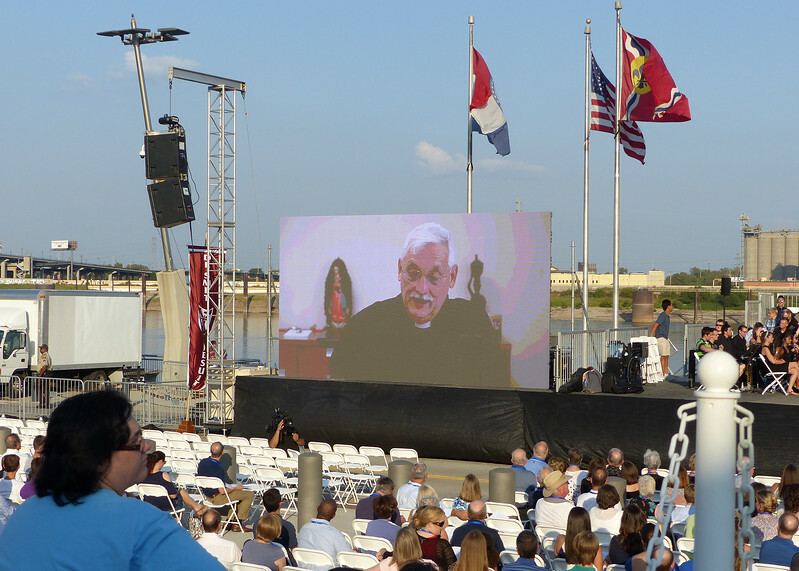 Most Reverend Robert Carlson, Archbishop of St. Louis, presided at Saint Louis University's Bicentennial Mass under the Arch. Concelebrants included Fr. 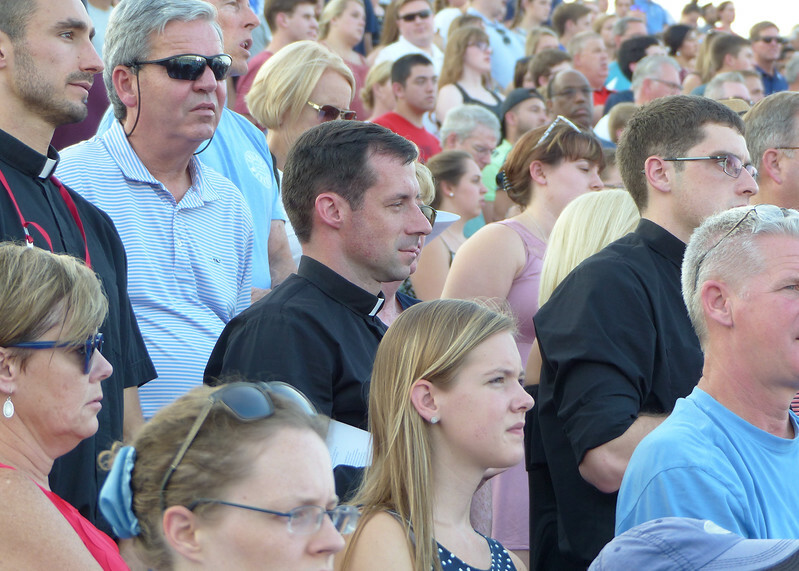 Douglas Marcouiller, SJ (center) and Fr. 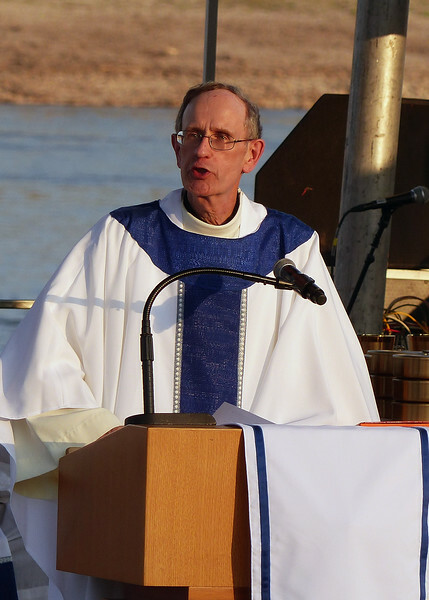 Ronald Mercier, SJ. Jesuit Fr. 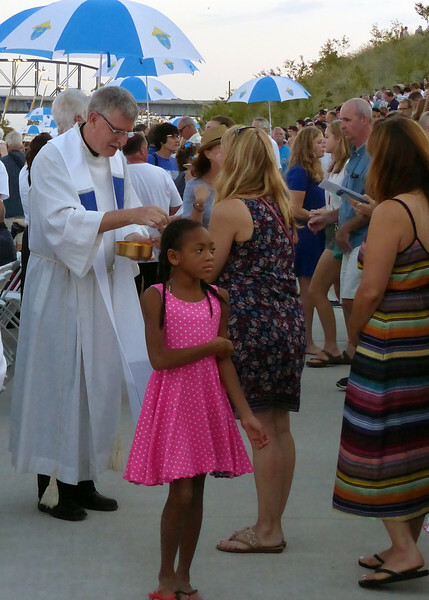 Kevin Cullen, SJ, was one of dozens of priests who distributed communion to the estimated 5,000 faithful who attended Saint Louis University's Bicentennial Mass under the Gateway Arch on Sept. 23, 2017. 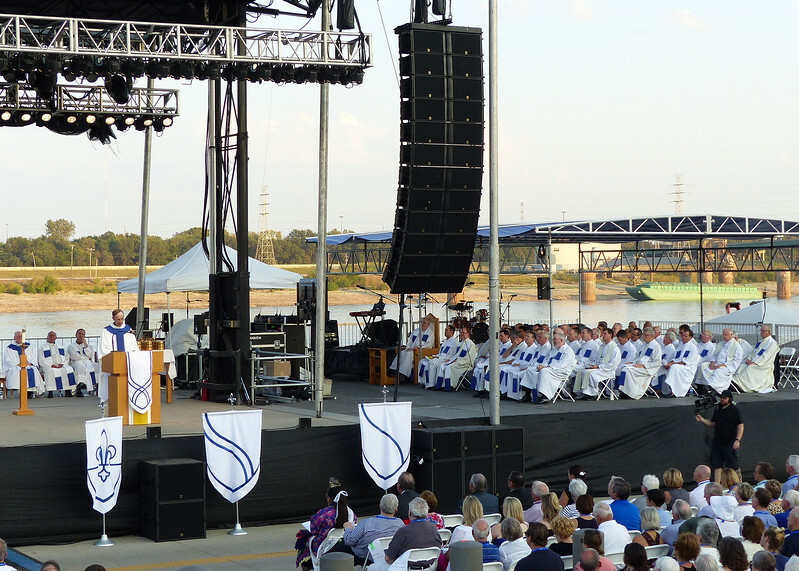 Dr. Fred Pestello, president of Saint Louis University offers words of welcome and gratitude following Saint Louis University's Bicentennial Mass on Sept. 23, 2017.